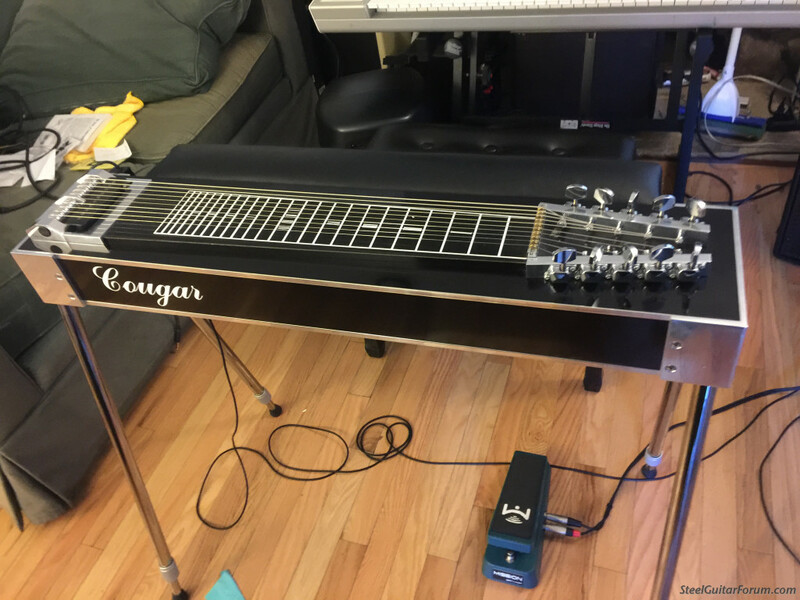 ( by the way, selling one of my 2 eharps to pay for it. See the for sale section) . Anyone familiar with the steel? I don't know anything about them, but it looks like you got a great deal on a very clean guitar. Only $50 per string! The easy-on/off pad is super cool, too. Nice score! You should get a lot of playing out of that guitar. Western swing, Hawaiian, etc. being able to learn and do the slants IMHO is better than pedals. Made in Michigan by Freeman Cowgar. Freeman passed back in 2002 so that likely dates your instrument to before then. Freeman was also (I believe) the builder of the Lil" Buddy steels back in the 70's. I have never seen a non pedal Cougar. I had a Cougar S 10 and later an SD10. I changed out the pickups and that really improved the sound. Freeman was building steels that were targeted for entry level players at an affordable price. They were solidly built and functioned pretty smoothly. IMHO way above the Carter Starter. Nice find..... I wish he had made an 8 string. I have a six string non pedal Cougar that I picked up off of Craigslist years ago... fine steel... I've seen a few others. I met Freeman's son and he had a 10 string non pedal. 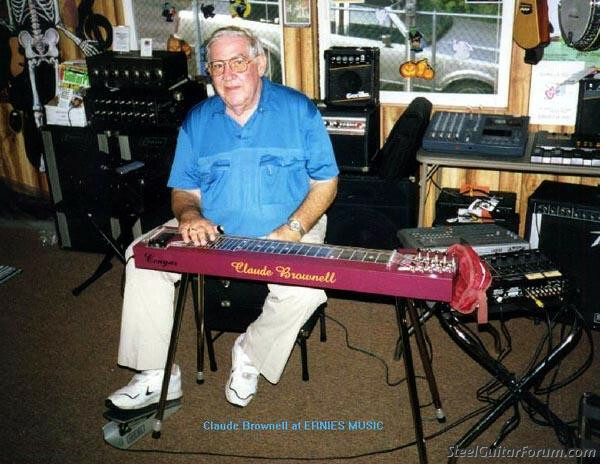 Thanks G. The only other other Cougar I was aware of was eharp player Claude Brownell's 30.5" scale 10 string non pedal. Claude tuned it to Eharp tuning but down a 4th. I was thinking about this steel when I went on Reverb and saw that it had just been listed, so I thought it was fate. cast end plates. Stabilizing forward bar. "Ultimate Pickups"
more than one. Also shown are the "Add-A-Rest" and "Add-A-Neck"
"lap steel" necks. The "Add-A-Neck" options are called "Little Boss"